Cheese Tea, a Gouda Idea? 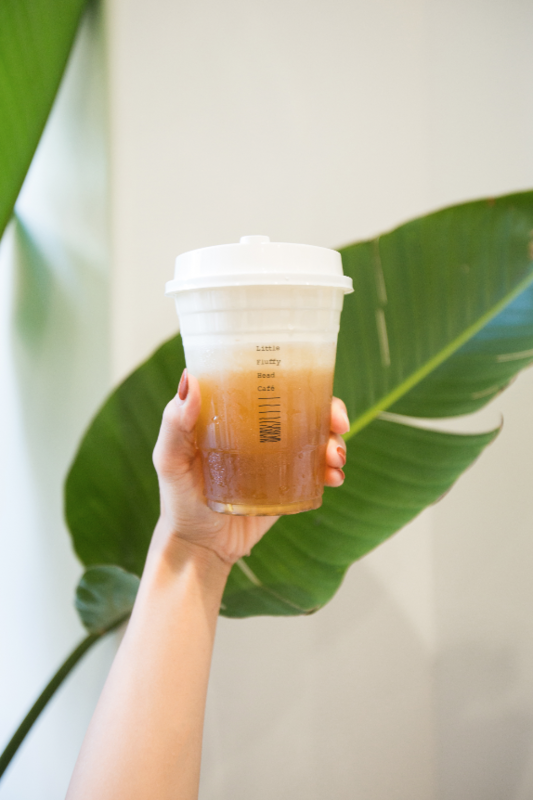 It's 2018 now, you're trying to be hip, fun and trendier than ever, in which case, you might enjoy indulging in a little cheese tea — the hottest (ha) new trend in heated beverages. But what is cheese tea, and is it as repulsive as it sounds? No, friends, not it isn't. In fact, cheese tea is a delightful creamy comforting winter staple that is coming for hot chocolate's crown. Regular whipped cream, cream cheese (the sweetest and most versatile of the cheeses), milk and sugar, are mixed together and applied on the top of the piping hot tea, for an experience second-to-none. Jenny Zheng, the Western world's cheese tea connoisseur, boasts a range of cheese teas at her Little Fluffy Head café in LA — you can dive into everything from Premium Peach Oolong to Camouflage Matcha. To investigate the burgeoning trend, PAPER got acquainted with Jenny and learned everything there is to know about cheesy tea — even her secret recipe. Let's face it, coffee is so last year, and unfrosted tea might as well be the heavy contouring of the hospitality industry — dated and for most purposes, obsolete. How did cheese tea come to be? I think Taiwanese street vendors started the very first version of cheese tea around 2010, where they put powdered cheese cream on top of tea versus the traditional tea latte. As it gained popularity, people were experimenting with better ingredients such as real cheese. By the time I heard about it, cheese tea has entered mainstream in Mainland China and was extremely viral on social media — so naturally just like any other millennial, I just had to try it! My initial reaction to trying the cheese tea for the first time ever was "Whoa, I've never tasted anything like this before!" Immediately, I knew I had to bring cheese tea back with me to the US. I took the original concept a step further and created our unique cheddar cheese and creme brûlée topping for some of our signature drinks. A year later, we opened our first store in the heart of Downtown Los Angeles so that I could allow others to have a similar experience like the one I had while traveling in Asia. Are there any nutritional benefits to cheese tea? Or is it considered more of a "comfort food" concept? Cheese tea is more like a "comfort food" that will make you happy! Besides, the tea has nutritional benefits such as less caffeine to keep you focus without feeling jittery, it contains antioxidants, and it may reduce your risk of heart attack and stroke. Describe the taste for a cheese-tea virgin. When I was developing the recipe for our original cheese tea, I was using cream cheese for the cream topping and oolong tea for the tea base. I found out that similar to latte, the rich creamy layer helped mask bitter notes in the tea, leaving the tea sweet and smooth without the need to add additional syrup. The layer of cream consists of not just cheese, but it also has milk, whipping cream, pink salt and sugar, so the taste of cheese is really subtle, and tastes more like sweet and savory. We don't use any artificial flavors for the tea base to make it tastes certain way, so the tea taste refreshingly good naturally. With the two combines together, cheese tea tastes like a refreshingly smooth sweet tea. It will never be like you are drinking cheese! Can you make cheese-tea at home? Definitely! You can play around with different kind of cheese-tea pairing. Is cheese tea set to be the hit 2018 food trend? I do think that social media has helped in a way that making the information of cheese tea more accessible to the audience. Also it is such a new food concept that the general public wants to know about it. At the end of the day, the taste of the drink is what keeps people talking about it and keeps the drink popular. See Jenny's recipe for cheese tea below. Time to get cheesing, my sweets.